Note: since practically everything that politicians do can be considered douchebaggery, I’ve decided to refrain from including them in this post. Frankly, there just isn’t enough room on this blog to list all the political douchebaggery that’s gone on since the beginning of the year.. Couple Jailed After Their Four Young Children Tested Positive For Cocaine… Again! If the C.I.A. 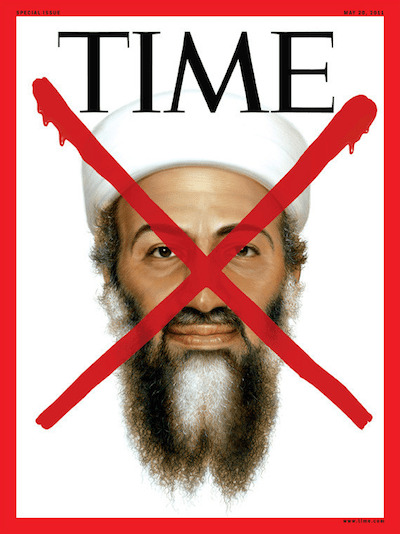 had been forced to refrain from utilizing the enhanced interrogation techniques that Barack Obama and the entire Democrat party leadership fought tooth-and-nail to get rid of, Osama Bin Laden would still be alive today. The information acquired from the terrorists upon whom those techniques were employed was integral in finding Bin Laden, as well as other Al-Qaeda leaders. This is no big secret, it’s a well-known fact, yet Obama is more than happy to let you continue to delude yourselves into thinking that his war policies had something to do with Osama’s death. They didn’t, and every Democrat politician from D.C. to Dallas knows it. Beyond that, your leftist leaders and their minions in the Jurassic media would have you believe that Obama’s decision to allow our special forces personnel to kill Bin Laden, once they discovered his whereabouts, was somehow a “gutsy call”, but that couldn’t be further from the truth. Obama had NO ALTERNATIVE but to make the call he did. If you don’t think so, just imagine what would have happened to his re-election chances if the American people found out that he’d had an opportunity to authorize the death of the most wanted terrorist in history and refused to do it! The Republicans could run a stale potato chip against him in November and win in a landslide. You all know that’s true, just as you know that Mitt Romney would have made the exact same call for the exact same reason. Only a suicidally stupid politician wouldn’t have done so. 1.) Bin Laden was hunted down and killed in spite of Obama’s policies, not because of them. 2.) Obama made the only call possible under the circumstances, just like any other president would have. 3.) You’re all a bunch of idiots. Two shirtless men were caught on camera in Houston setting a bar on fire after they were allegedly kicked out for fighting– and the patrons were still inside when they did it. Thankfully, they neglected a third door and everyone was able to escape. The attempted arson actually occurred on April 19, but the video has only recently been released to the public. It was uploaded onto YouTube by “Crime Stoppers of Houston,” which hopes that increased exposure and a $5,000 reward will help lead to the suspects’ expedited arrest. Police believe they have identified one of the men as 30-year-old Jamie Mata, and think the other one is nicknamed “Pepe,” but they’re both on the run. The men both face charges of felony arson, and a warrant has been issued for Mata’s arrest. Back in May of this year, we posted the video above which shows a beer thief stumbling over his baggy pants while attempting to make off with two cases of Bud Light. The Polk County Sheriff’s Office released surveillance camera footage of the attempted heist in hopes that someone would provide information that would lead to an arrest. According to the Polk County Sheriff’s Office, a break in the case came on August 16 when a deputy spotted a black Chevy Malibu in the Lake Wales area that matched the getaway vehicle seen in the surveillance camera footage. When detectives interviewed the vehicle’s owner, she admitted to loaning her vehicle to two men who told her they were going for a beer run. As a result of the investigation, Miguel Ortiz (the beer thief) and Juan Luis Gutierrez (the driver) were arrested and charged with petit theft. The slimeball Senators were identified as Robert Jauch and Jim Holperin.